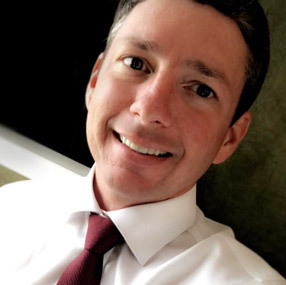 Dr. Brian Laird, assistant professor of accounting, along with Dr. Kim Hester, professor of management, co-authored a paper published in The Journal of Social Psychology. The researchers investigated the effect of various types of workplace monitoring on problem-solving performance. They found that as individuals are monitored more closely, they tend to solve fewer problems and have more trouble adapting to new solutions. The article is online. 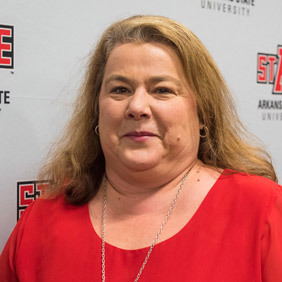 Enhancing the Student Experience Award was presented to Laura Cremeens, Student Affairs, at the Distinguished Performance staff recognition for her outstanding efforts to assist students with their experience at A-State. She ensures that each student who visits or calls the Student Affairs office is treated with utmost respect and given the highest level of service. She also trains student workers to provide that same level of service. Congratulations to Dianna Long, Facilities Management, who was recognized during the Distinguished Performance Awards program with the Unsung Hero Award for 2016-17. Her nominator said Long "is a math wiz able to calculate complicated math programs before others can even reach for their calculator. Dianna is always willing to assist others and she receives accolades from colleagues on campus because she is customer-focused and uber-professional." 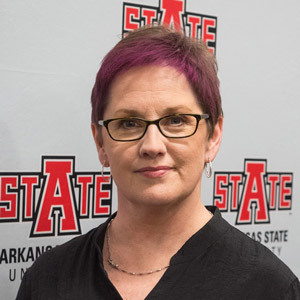 Dr. Evi Taylor and Dr. Jody Long, assistant professors of social work, made presentations at the annual University of Memphis Research Symposium on Clinician Bias and Disconnect. They highlighted the need for clinicians to form an individual approach based on therapeutic alliance to engage mental health clients. Often this is ignored and clients are then labeled as difficult, when it is actually the clinician who is to blame. 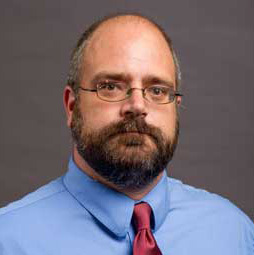 Dr. Edward Salo, assistant professor of history, teamed with the Hoxie 21-Hill Foundation to prepare the forms for Scott Cemetery, an African American cemetery, to be nominated to the National Register of Historic Places. The cemetery is noteworthy "for its association with the ethnic heritage (burial customs) of the African American community of Walnut Ridge, Hoxie and the surrounding portions of Lawrence County from 1920s to the present."